Hundreds of thousands of children in Togo are deprived of their rights. 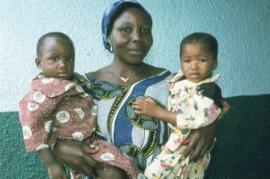 Owing to high levels of poverty and HIV/AIDS, many grow up without any family support at all. 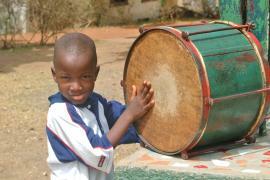 Against this background, SOS Children's Villages decided to become active in Togo in the 1970s. Since then, the organisation has been supporting Togolese young people and children via a number of different programmes in order to give them a brighter future. Togo remains one of the poorest nations in the world and development-related challenges are numerous. Wealth is distributed unequally: while the wealthiest twenty per cent dispose of roughly half of Togo's total household income, those who find themselves on the bottom steps of the socioeconomic ladder often struggle to survive. Many years of political isolation have further aggravated the living conditions of the country's population. According to the United Nations, 32 per cent of children aged five to fourteen are engaged in labour activities, a vast part of them in the agricultural sector. Most children from rural areas work on family farms while those who live in the urban centres engage in small-scale trading or domestic service. Children also work in rock quarries where they have to transport heavy stones or extract sand that is used for the production of bricks. The commercial sexual exploitation of minors, in particular young girls, is common in some areas of the country.